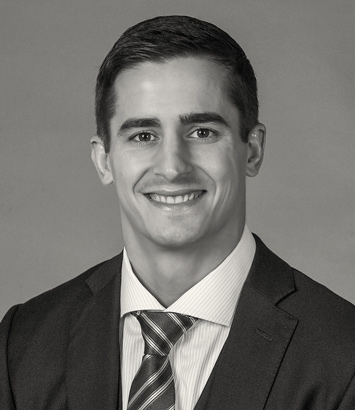 Kyle Turnbull is a commercial finance lawyer in Dinsmore's Morgantown, WV office. Kyle represents clients in litigation matters, including product liability, medical malpractice, professional liability, employment litigation and commercial litigation. He develops trial strategies based on his clients’ needs and recommendations and has experience preparing motions and other pleadings in accordance with the desired litigation strategy. Kyle has litigated cases in state and federal court, attended and defended depositions, and successfully litigated cases to jury verdict. He also has experience representing businesses, banks and lenders in commercial transactions, loans and employment-related matters. He assists a wide variety of financial institutions, borrowers and developers in accomplishing their financing and commercial real estate goals by leveraging his lending and real estate knowledge and experience to provide tailored, effective and timely results and lending solutions. Additionally, Kyle represents medical facilities and other businesses in mergers and acquisitions.